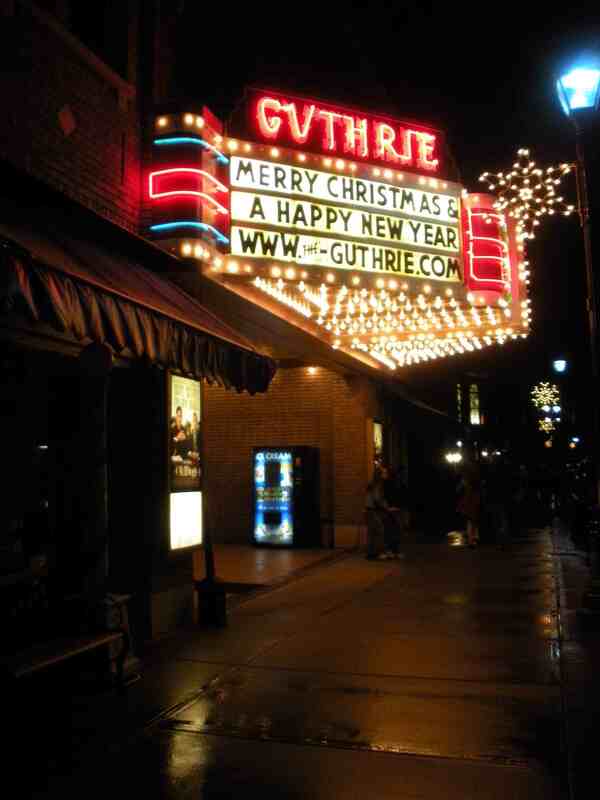 We always go to the Guthrie, in downtown Grove City, where there is always only one movie at a time. It’s hit or miss. This weekend it was mostly miss; there isn’t much to recommend Old Dogs. We sat in the balcony, as my cousins and I did when we were younger, as my mother and her sisters and her brother did when they were much younger, and as my grandfather did when a ticket was five cents. Today it’s only five dollars. The movie was terrible—but it didn’t matter. It usually is. What a beautiful theatre to watch a wretched movie in! Even in this, though, we probably continued a long family tradition–when your grandfather was paying 5 cents admission, Hollywood was churning out many more movies than it does now, most of them, I imagine, shlockier even than Old Dogs.